Dr.Robert E. Mayle Jr. is a native of Northern California, born and raised in San Jose. He graduated from Bellarmine College Preparatory and the University of California, Berkeley, with a major in Integrative Biology. He obtained his Medical degree from Drexel College of Medicine in Philadelphia, PA.
Dr. Mayle returned to California, where he completed his residency in Orthopaedic Surgery at Stanford University Medical Center. 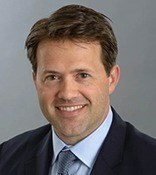 He completed a fellowship in Spine Surgery under Dr. Eismont at the University of Miami, and a fellowship in Total Joint Replacement at RUSH University Medical Center in Chicago � an internationally known center that has pioneered work in complex revision and minimally invasive total joint replacement. He has been involved with award winning stem cell research in spinal cord injury at Stanford, published several peer-reviewed articles, and has authored chapters on topics of his interest such as total joint replacement, spinal cord injury, and sport related injuries. 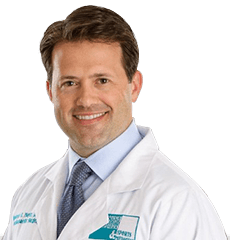 Dr. Mayle has given lectures and presentations at local and national conferences such as the American Academy of Orthopaedic Surgeons and the Cervical Spine Research Society. Moonlighting experience during Residency. Acted in the capacity as a first assistant in the operating room. Evaluated and worked up Orthopaedic consults as needed. Developed and maintained relations with investors in the Private Client Group; recruited over thirty million dollars of private assets to be managed by Ken Fisher. Responsible for the operation and maintenance of cardiac and pulmonary assist devices in surgery and intensive care units (eg V.A.D., E.C.M.O., and I.A.B.P.). Responsible for assisting anesthesiologists during line placement, induction, difficult airway intubation; maintenance and Q.C. of equipment (endoscopes, blood gas analyzers, and rapid infusers), and inventory/ordering of drugs for surgical satellite pharmacy. Assisted Principal Investigator during both in vivo and in vitro pre-clinical studies of devices) for the FDA. Administered anesthesia to animals and placed intravenous lines during invasive surgical procedures. Responsible for administration and oversight of Field Study, UC Berkeley�s pre-medical internship program. Recruited, selected, and evaluated interns, teaching assistants, and physicians for Field Study; effectively increased the size of the program by 40%. Transported patients post-operatively throughout the hospital. Stocked linens and supplies in the operating and recovery rooms. Sterilized and transported equipment.